At Alexander Jeweller diamonds are chosen to strict standards of tolerance to ensure the chosen diamond to maximises the brilliance for a more sparkle and livelier diamond. Alexander Jeweller’s diamonds are GIA Certified for quality assurance and hand picked by our F.G.A.A. (Fellowship of the Gemological Association of Australia) gemologist onsite. Colour is a defining factor while valuing diamonds. It can range from colourless to more yellowish saturated brown colour. The more colourless a diamond, the greater rarity and value. Diamond are graded by the letters D to Z, Where D is Colourless and Z is a saturated yellowish brown. There is an exception to fancy-colour diamonds, such as pink and blues, which lie outside this colour range. Because diamonds are formed in extreme heat and pressure in the earth’s core, they often contain distinct birthmarks, either internal or external impurities. All diamonds have a natural occurring, grades or impurities. The position and types of this grades have an affect on diamonds beauty and value. At Alexander Jeweller strict standards applies that ensures that each individual diamond clarity is assessed by our gemologist before it is purchased. At Alexander Jeweller we reject diamonds with flaws that are accepted by others, these flaws are two main techniques that are used to improve a diamond clarity are laser drilling and fracture filling. When comparing diamonds with the same clarity grade on a diamond certificate can be very different viewed in person. Diamonds can not only be relied on by the certificate clarity characteristics alone. The cut and proportion of a diamond from being cut from a rough diamond, determines the brilliance of the diamond. A polished diamond’s brilliance combined with complex relationship with light. Key factors need to be considered are how light reflects off the facets, while how much light enters the diamond and what amount of light returns to your eye.The diamond proportion effects the brilliance and appeal, diamonds with ideal or excellent proportion, symmetry and polish increases their interaction with light. At Alexander Jeweller diamonds that are chosen are certified diamonds which are categorised to their proportions, symmetry and polish, which determines the ultimate brilliance. The weight of a diamond is measured in carats. 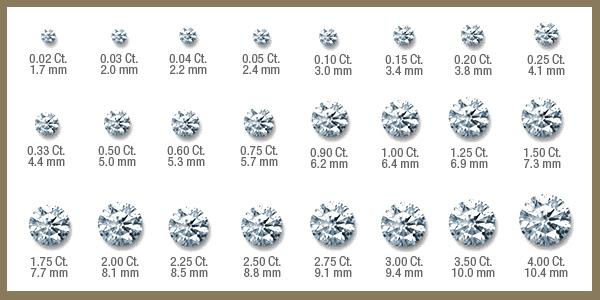 It is significant to know that a diamond carat weight can be very different in vales depending on the cut, proportion, colour, clarity and other characteristics. When two diamonds with the same carat weight is the same they in fact have a different measurements. At Alexander Jeweller our diamonds are examined for their luster, each diamond is carefully examined by eye and not relying on diamond’s certificate characteristics alone. Luster is the quality and quantity of light reflected from the surface of diamond. This is often referred to as brilliance, sparkle or fire. Some diamonds may have a little whiteness or cloudiness present in them, which are known as a milky lustered diamonds. Fluorescence is the visible emission of light, which occurs when a diamond is exposed to ultraviolet light (UV). It is a natural characteristic, observed in nearly one-third of all diamonds. Fluorescence occurs when diamonds is illuminated by long wave Ultraviolet light either from a UV lamp or from direct or indirect, natural daylight. Fluorescence is graded in five different categories from None, Faint, Medium, Strong and Very Strong. Fluorescence can have either a positive or a negative effect on the colour and overall look of colourless diamond when viewed in natural daylight. High colour grading of D, E, or F diamonds exhibiting medium to strong fluorescence, can often look hazy or milky in direct sunlight. Those with relatively low colour grading around I or J, particularly those with a yellowish tint, usually appear one to two grades better in colour due to the masking effect of blue fluorescence.